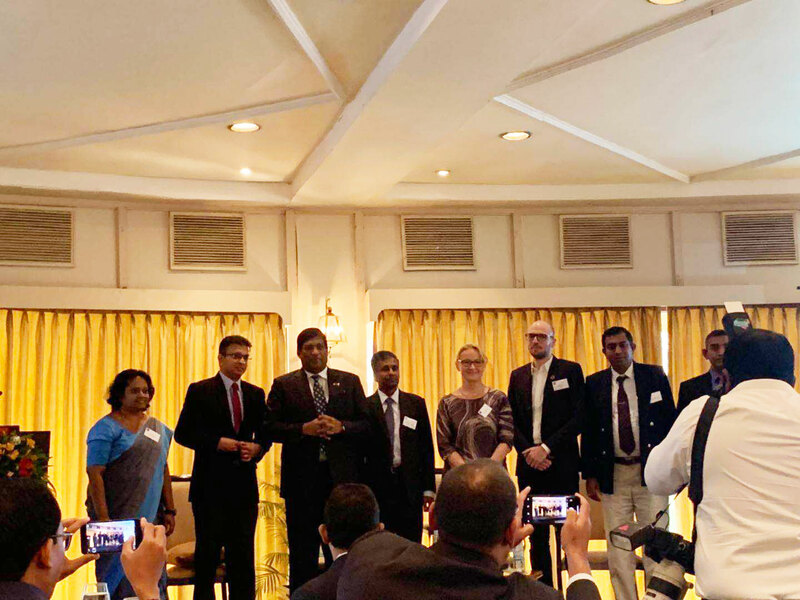 HAC was invited to participate in the GSMA's M4D Utilities Conference in Sri Lanka, January 24~25, 2019. The conference brought together a number of operators, public service providers, international public utilities organizations and representatives of the Sri Lankan government in Asia. The conference discussed the construction of public utilities in Asia and Africa, and the application of mobile money in water, energy and sanitation, and other issues. HAC is very honored to be invited to the conference. At the meeting, the HAC NB-IOT technology was greatly welcomed by the participants in the smart meter reading and sensor solutions. This trip has paved a stepping stone for the promotion of HAC products and solutions around the world. Address：Fl 6, Building 2, University Creative Park, No. 4227, Xili Road, Nanshan, Shenzhen,China.